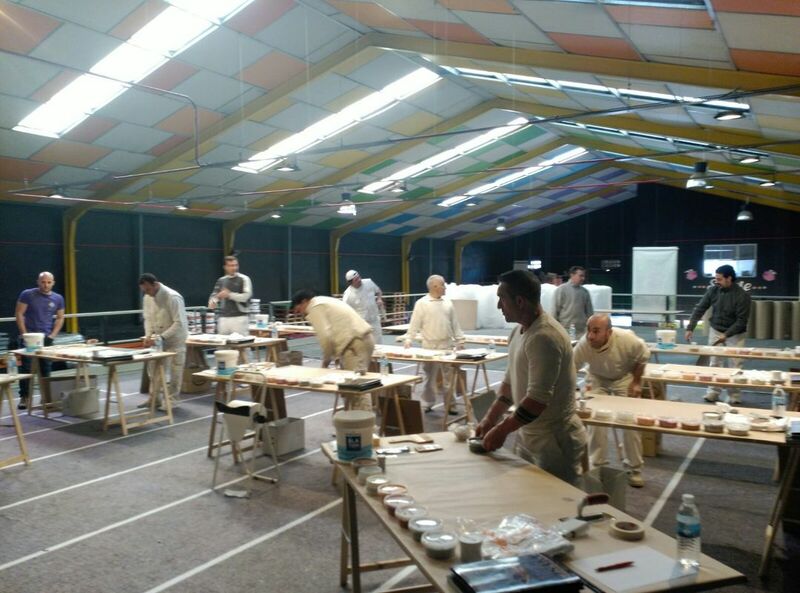 The ideal infrastructure for a training is a dedicated training facility like the one in the pictures above. 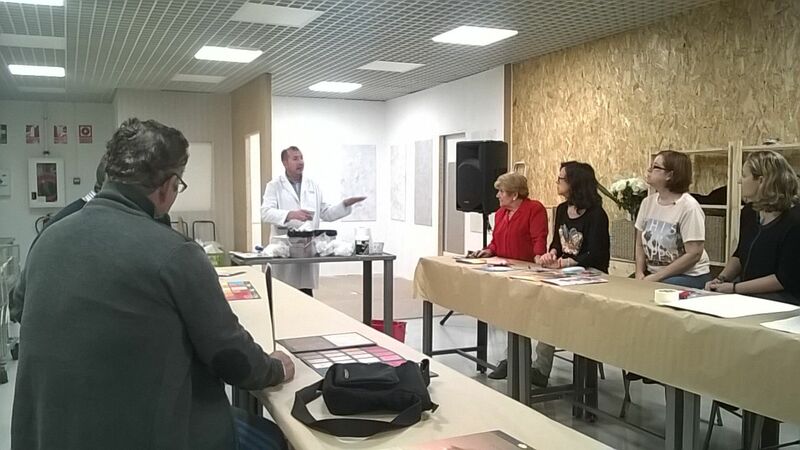 Very often though, courses are done at the customer's shop. 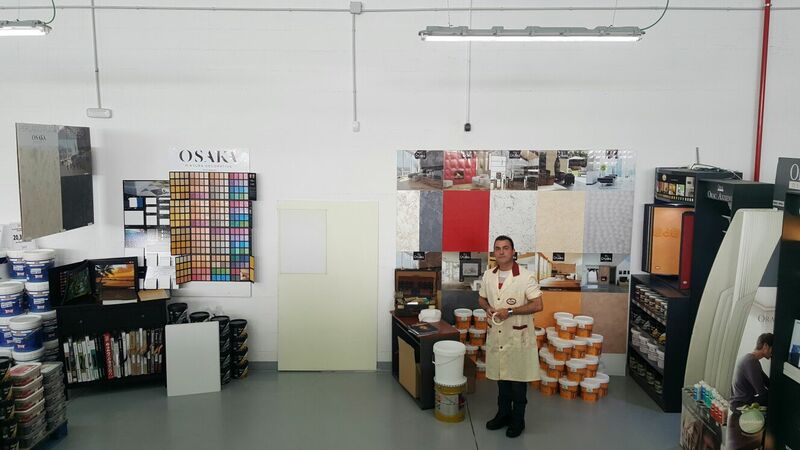 In this case the shopowner prepares a corner in his warehouse. 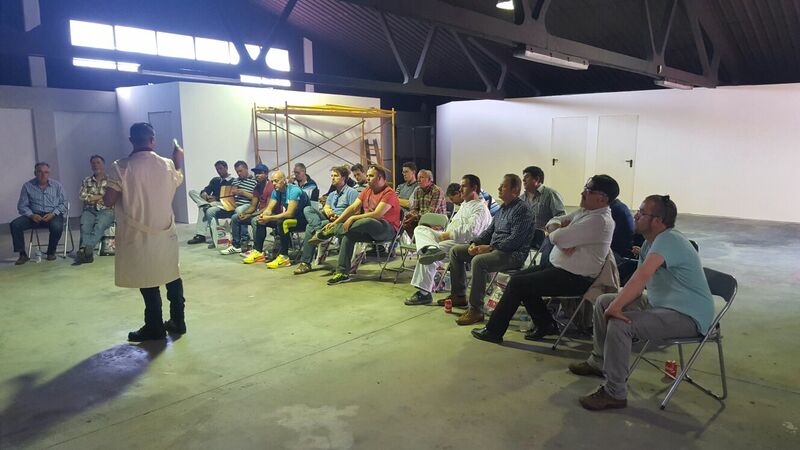 In a training course you need access to water in order to clean the tools after the different application sessions. 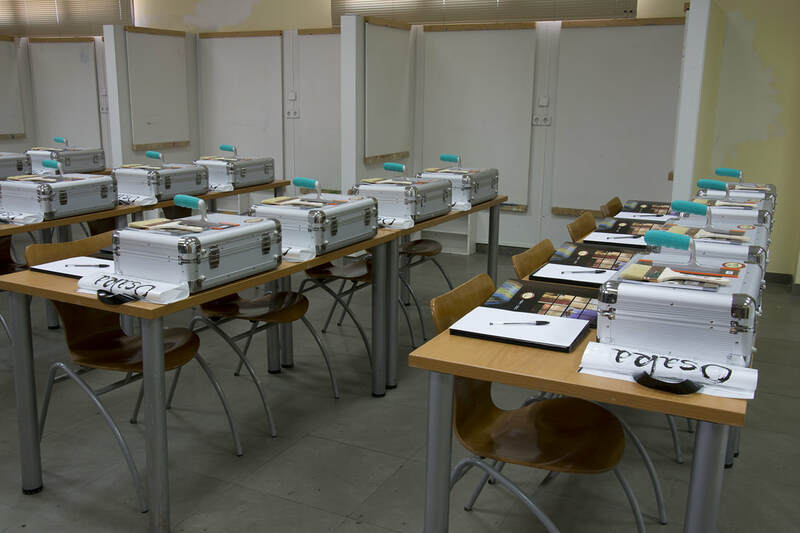 Ideally at least one or 2 sinks should be available. 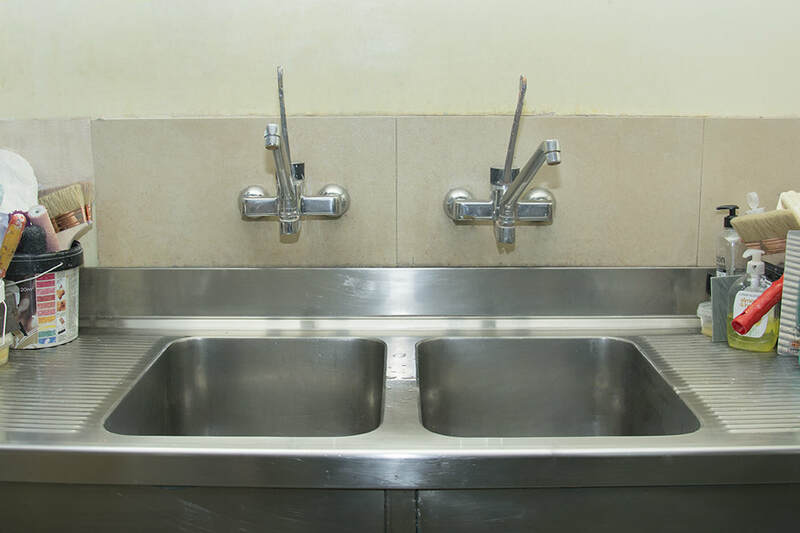 If no sinks are available several big 15 L drums full of water brought from the nearest tap will do. 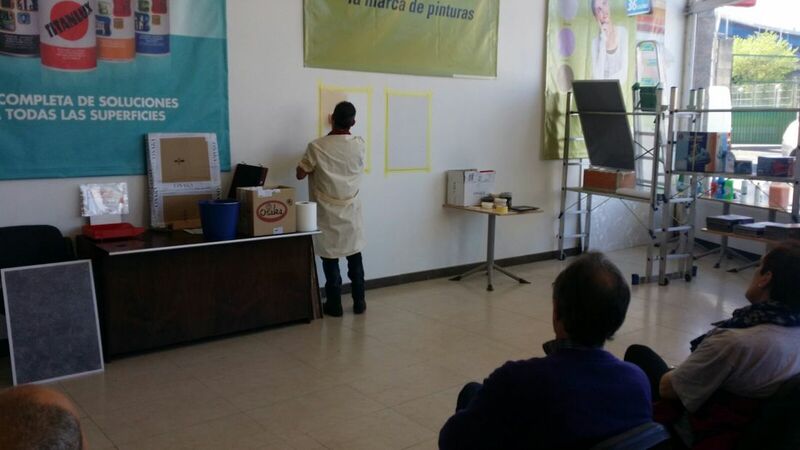 The participants should wear disposable coats, gowns or t-shirts since paint stains are frequent during application. 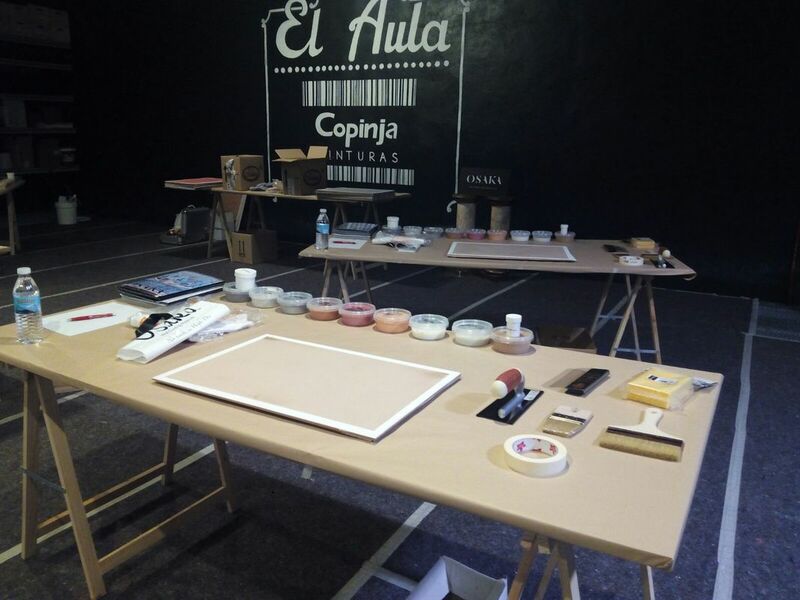 Woodboards measuring aprox. 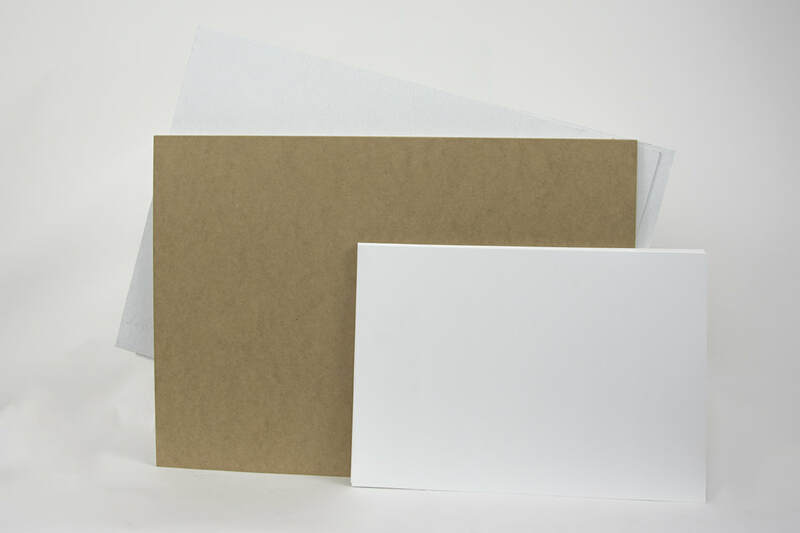 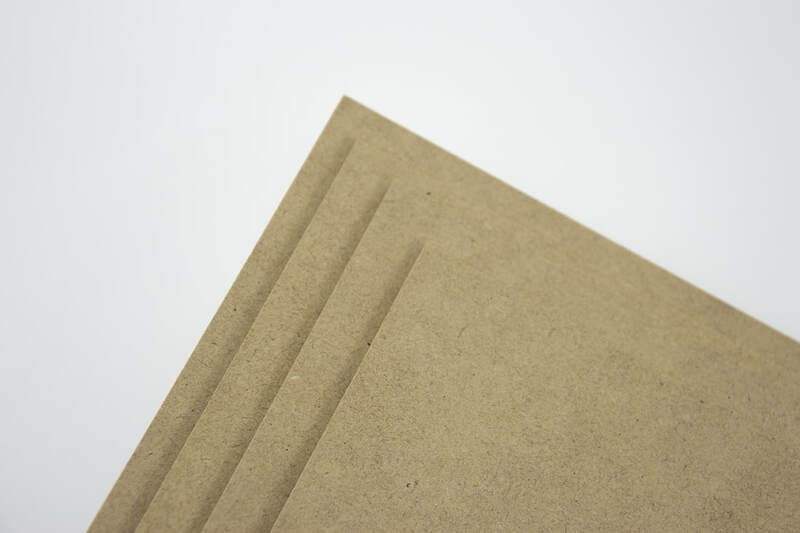 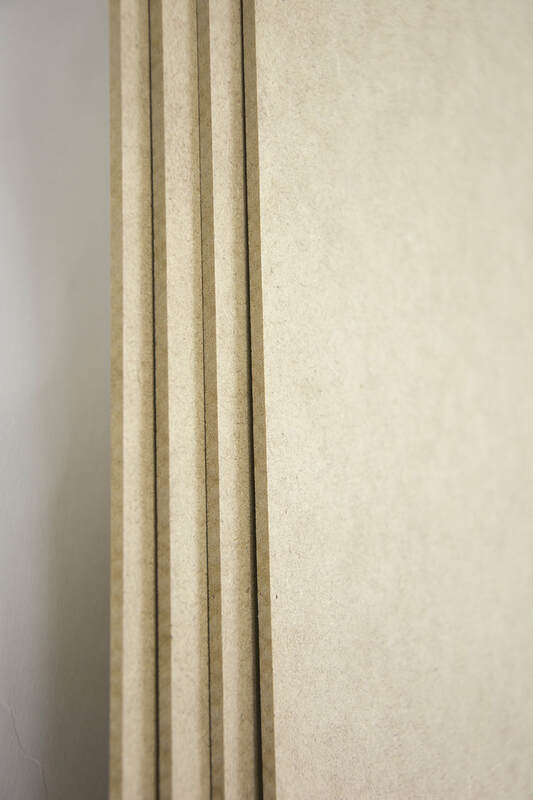 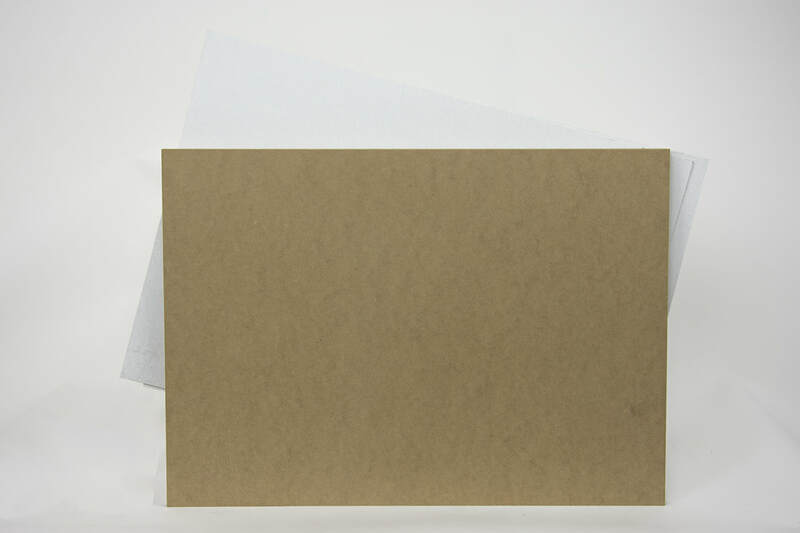 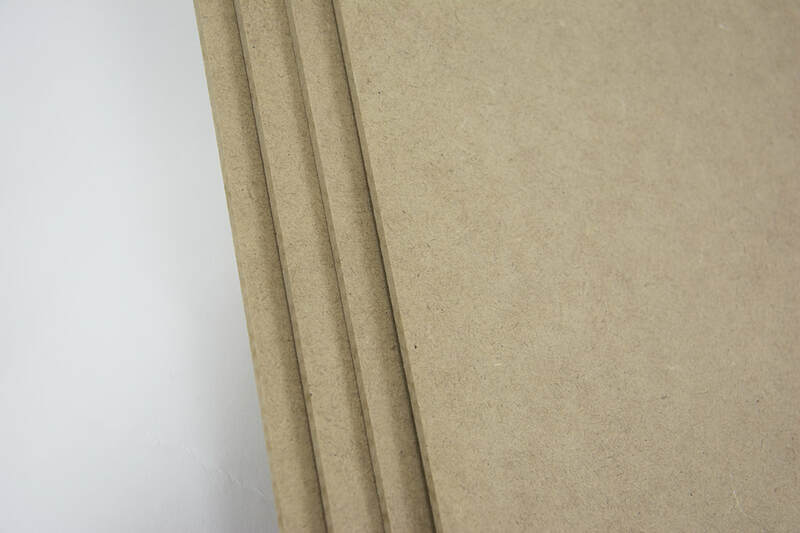 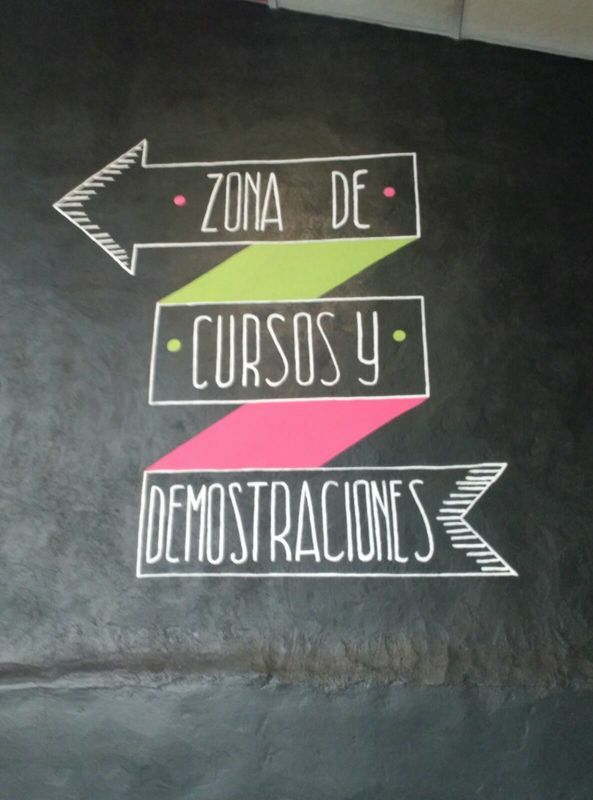 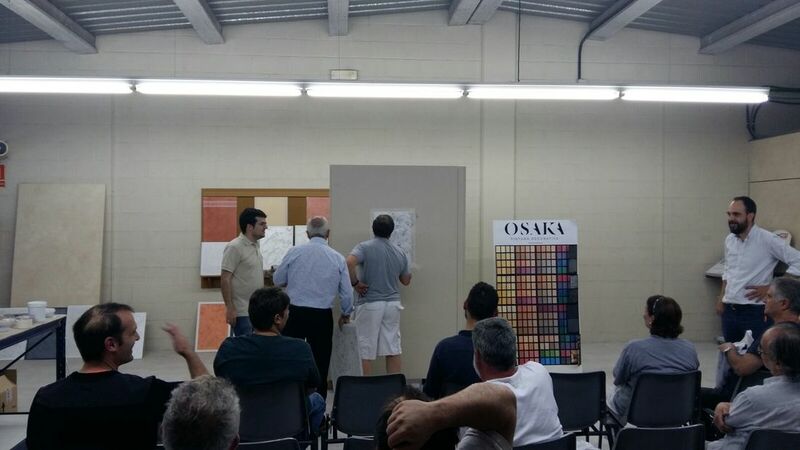 50 cm x 70 cm and having 3 mm thickness have to be prepared with Primer (Fondo Opaco for instance) beforehand, so that the participants may apply directly. 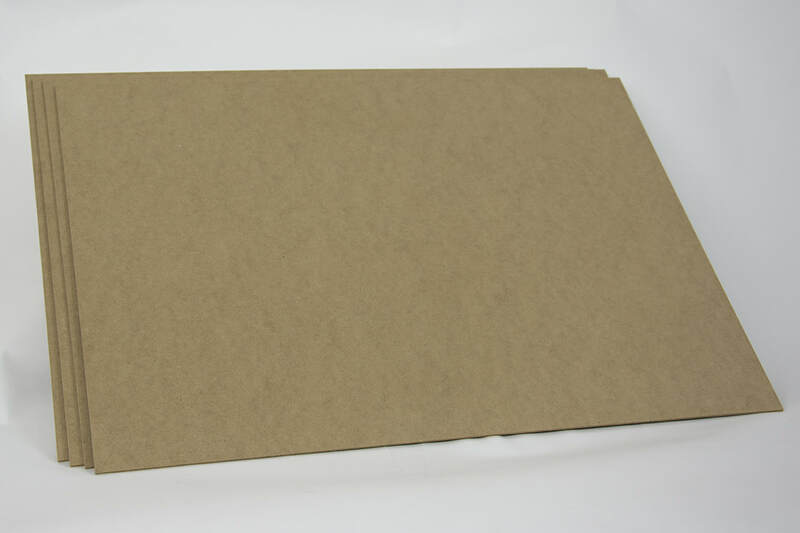 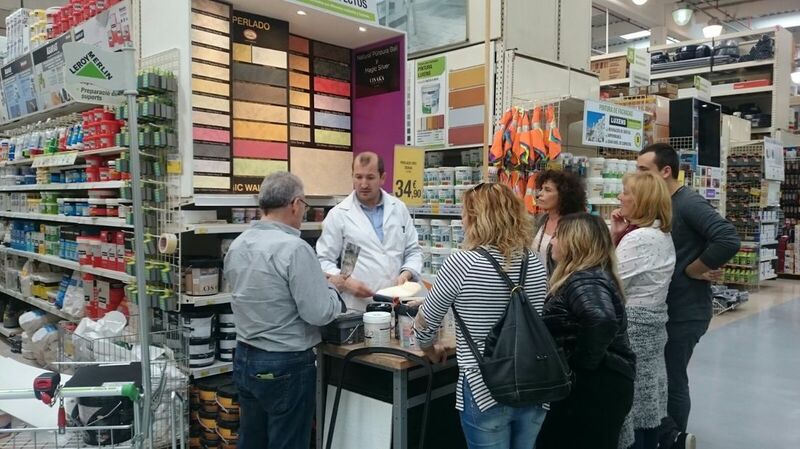 These boards are very important because the participants (professional applicators) will take them home for further using them with their customers. 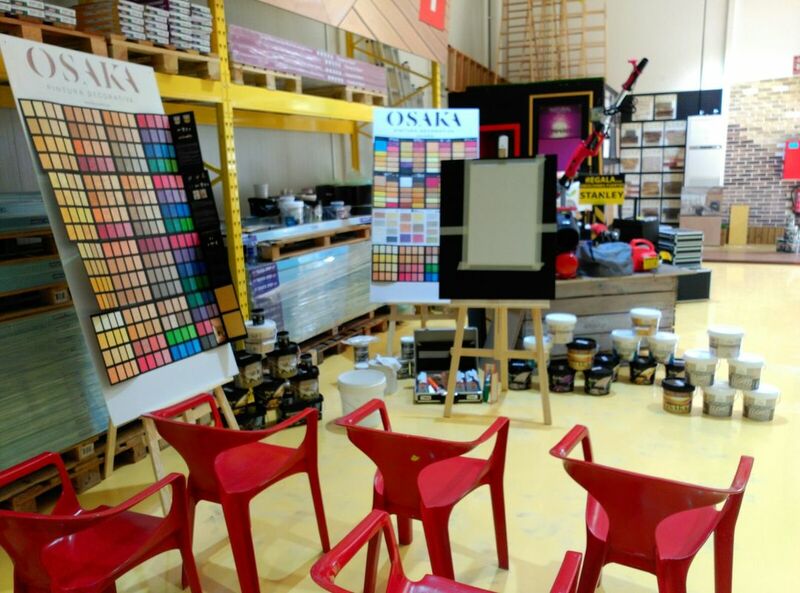 Others will stay at the customer's shop as merchandising material. 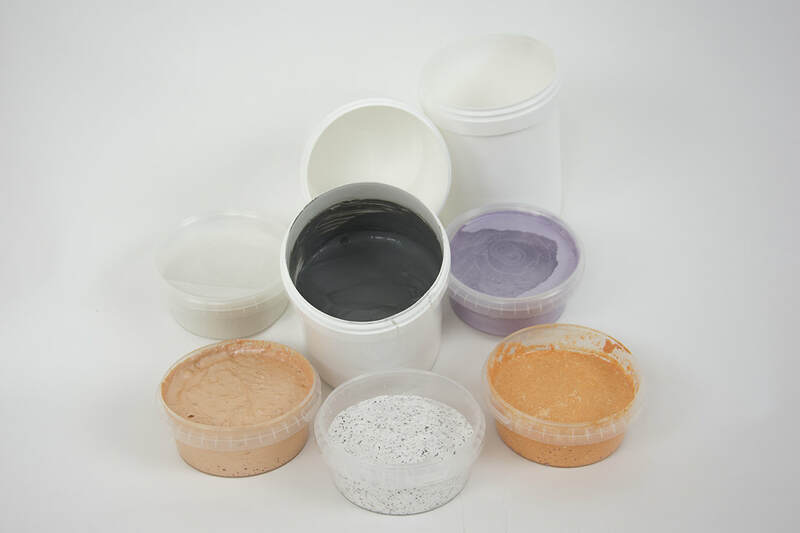 In case of multilayer products like MITIKO, sometimes also the 1 coat has to be applied beforehand, so that the participants can do the full cycle without having to wait for drying. 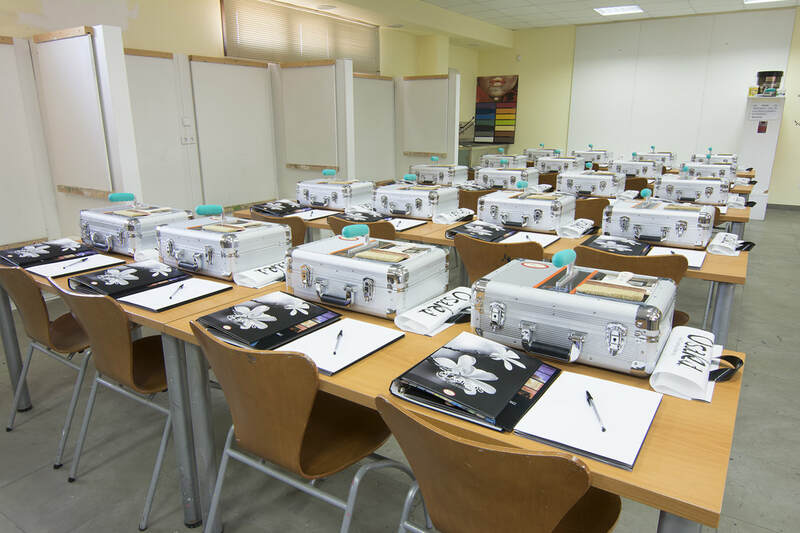 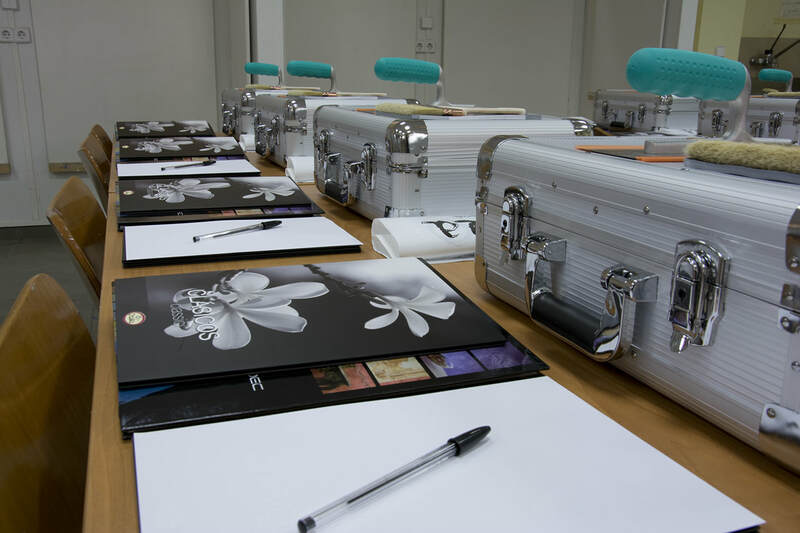 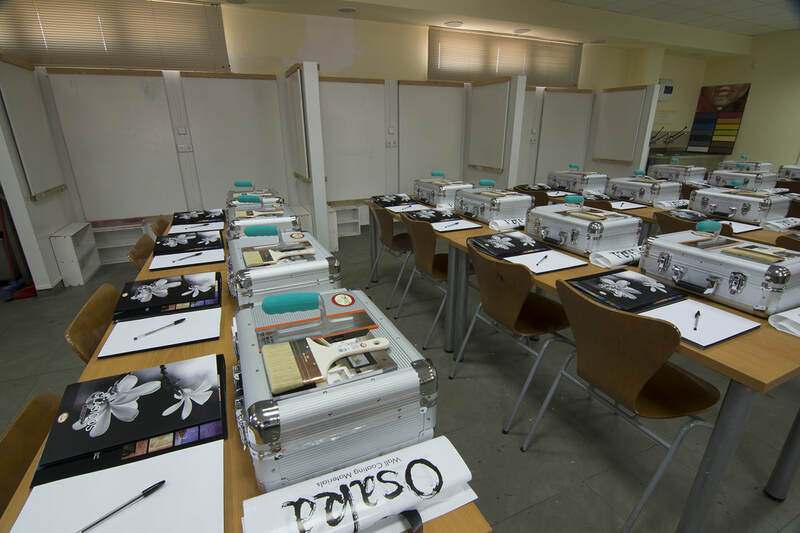 One or 2 sets of boards have to be calculated for each participant per each product, plus the teachers materials. 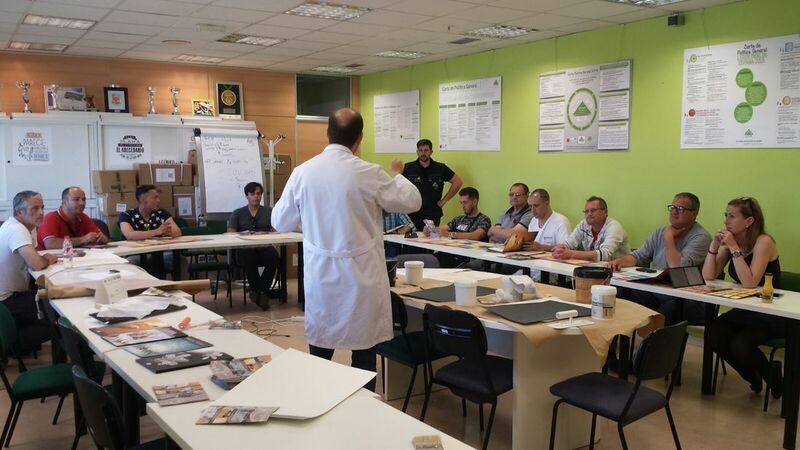 So if a full day training for 12 participants is done with 8 products at least 13 x 8 = 104 boards have to be prepared. 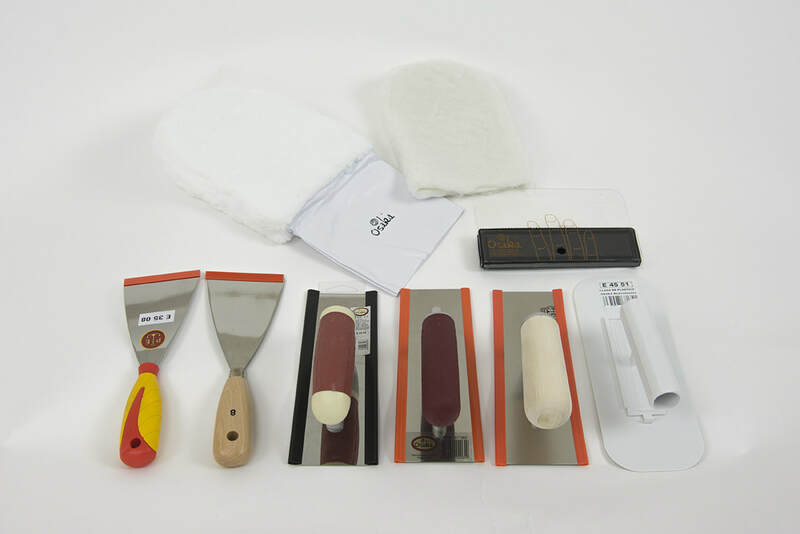 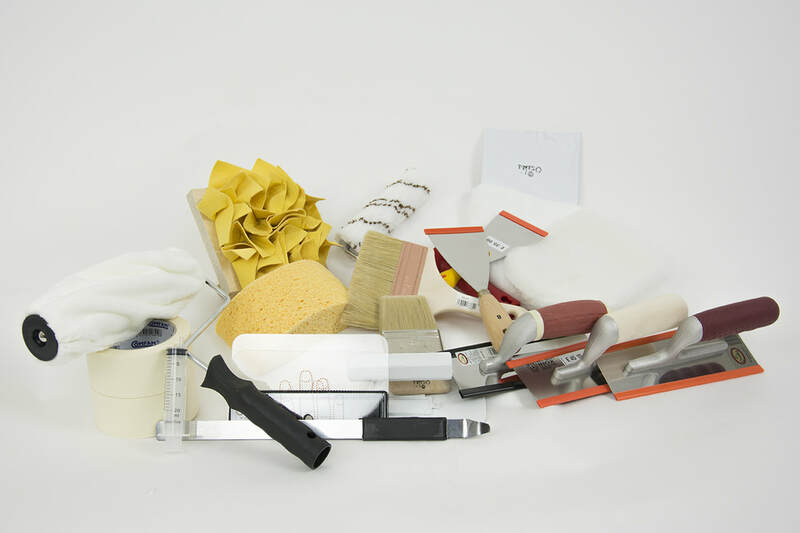 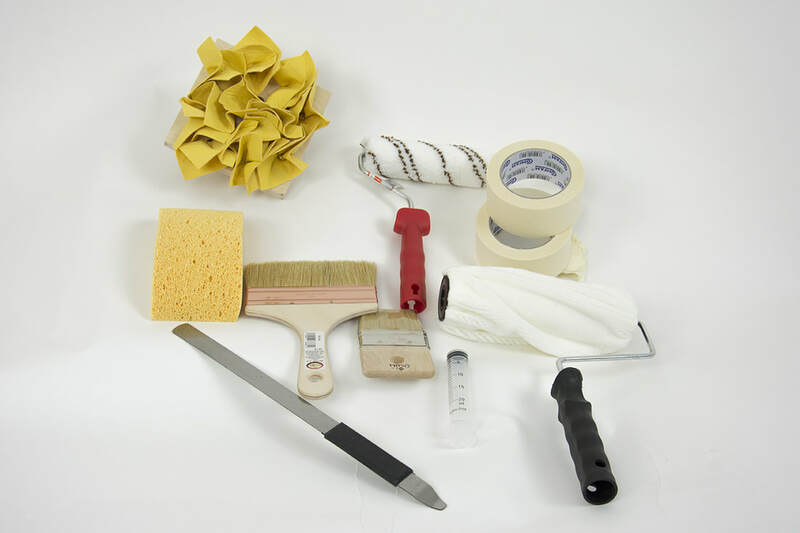 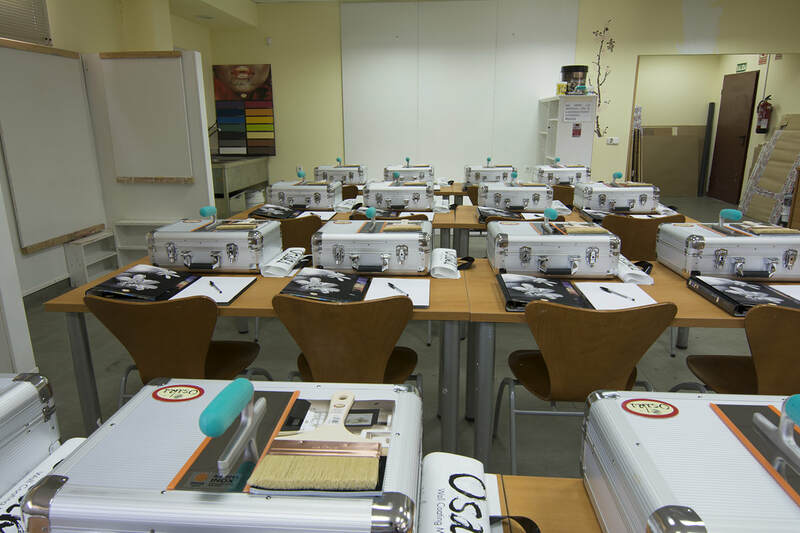 Also one set of tools per participant must be available, id est 12 + 1 brushes, 12 + 1 flexible spatulas, 12 + 1 trowels, etc. 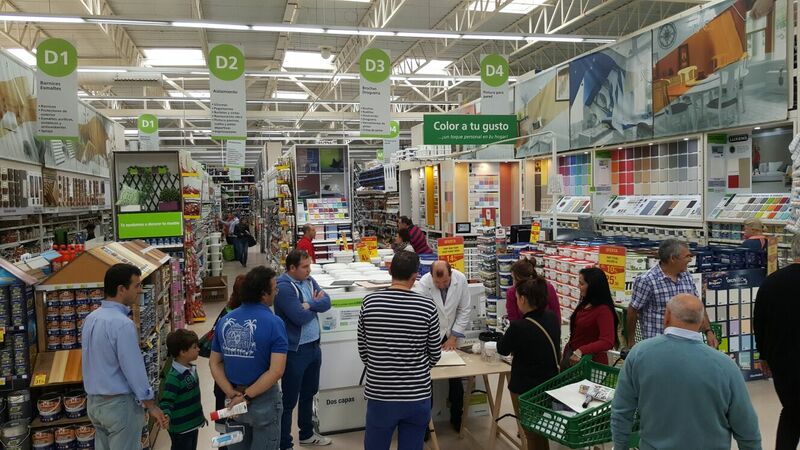 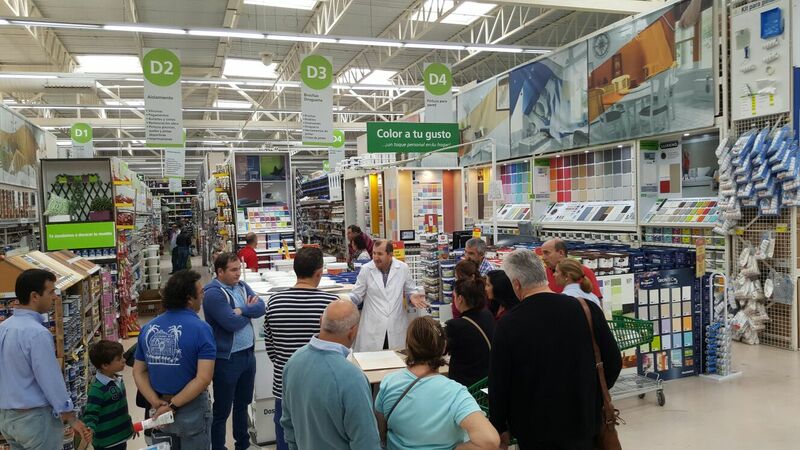 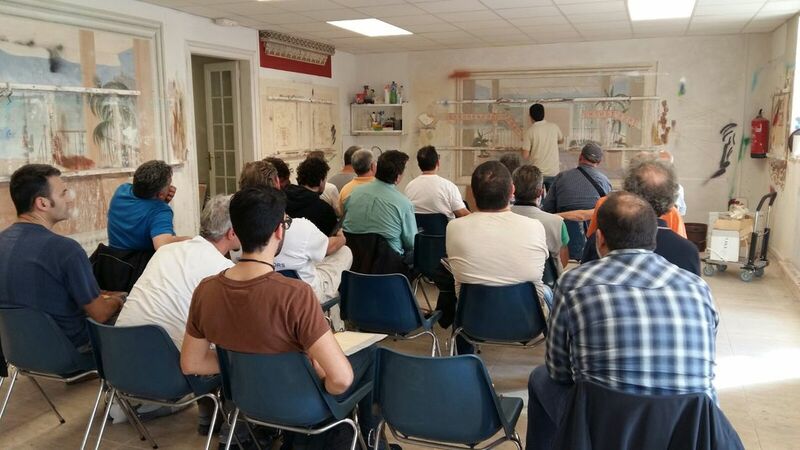 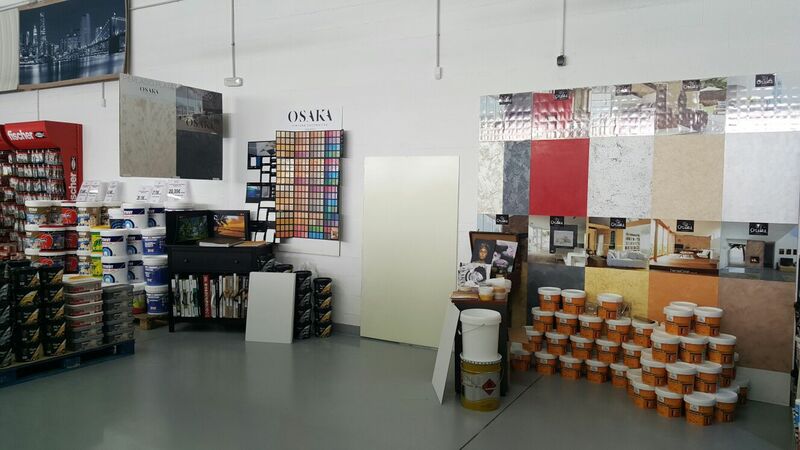 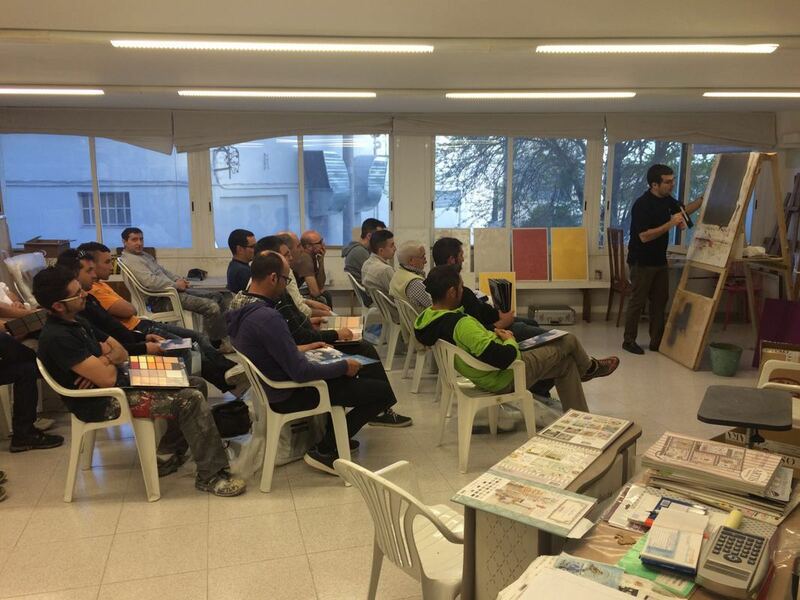 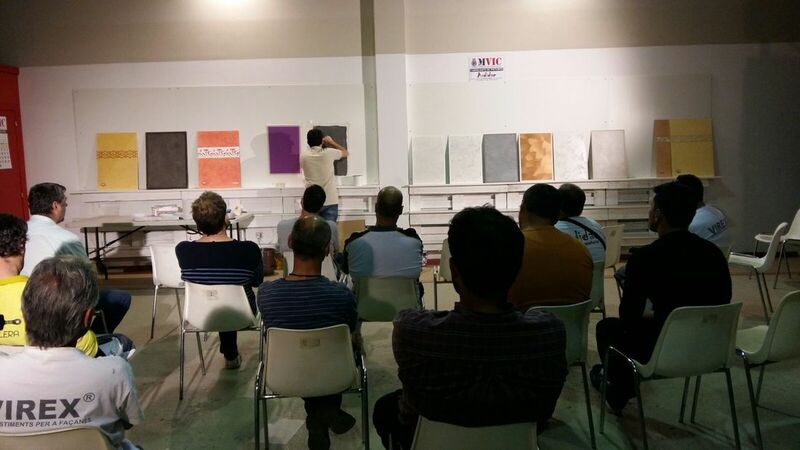 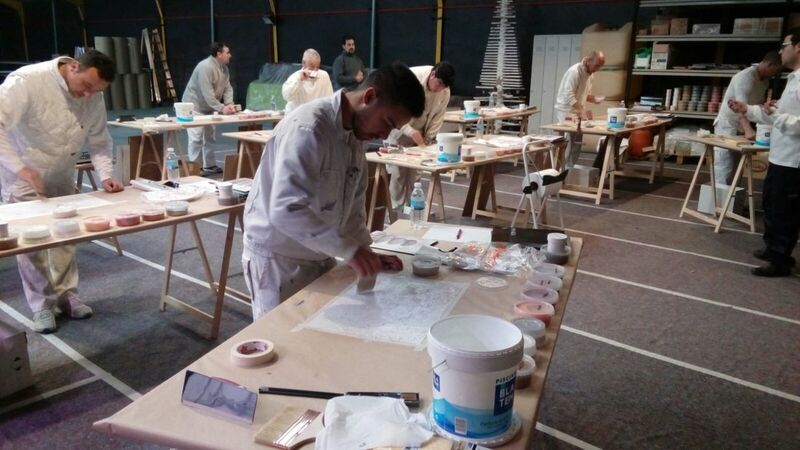 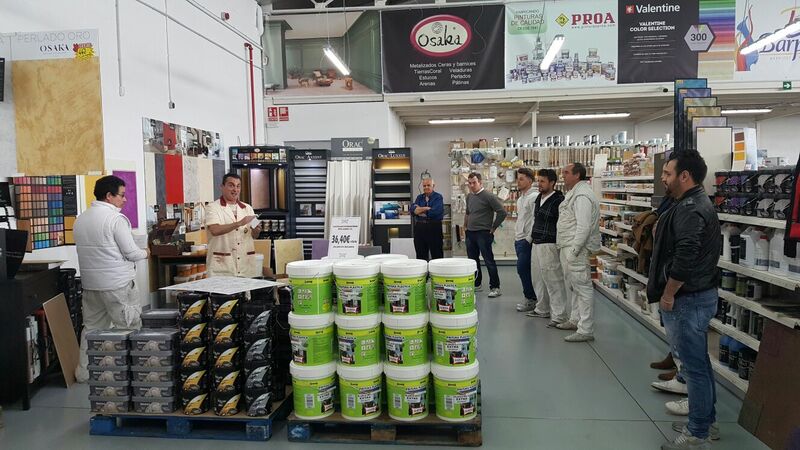 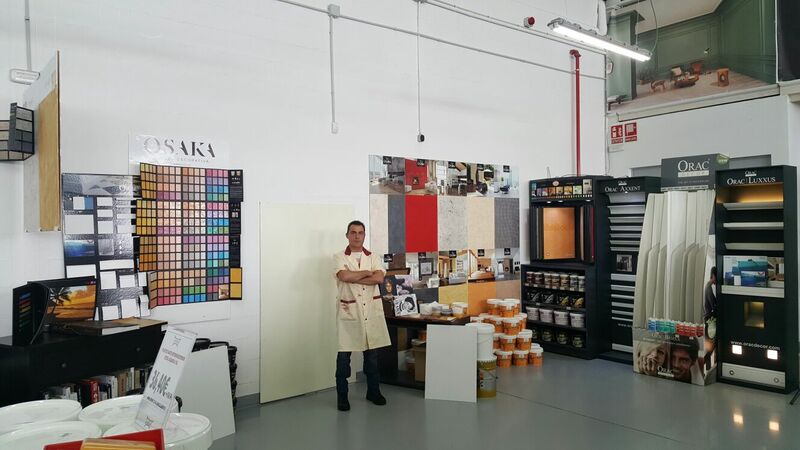 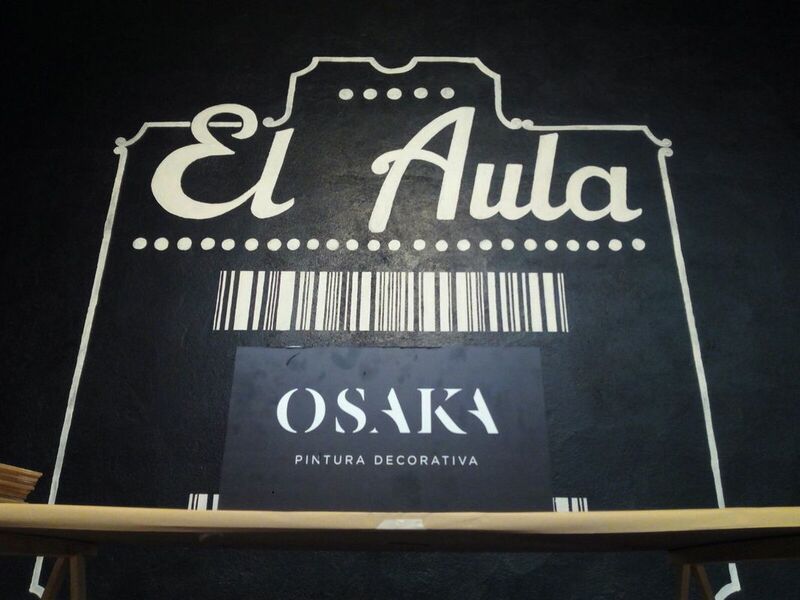 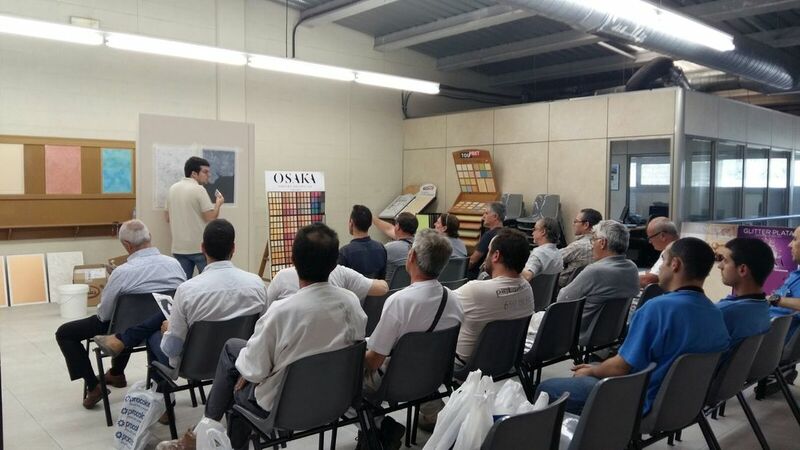 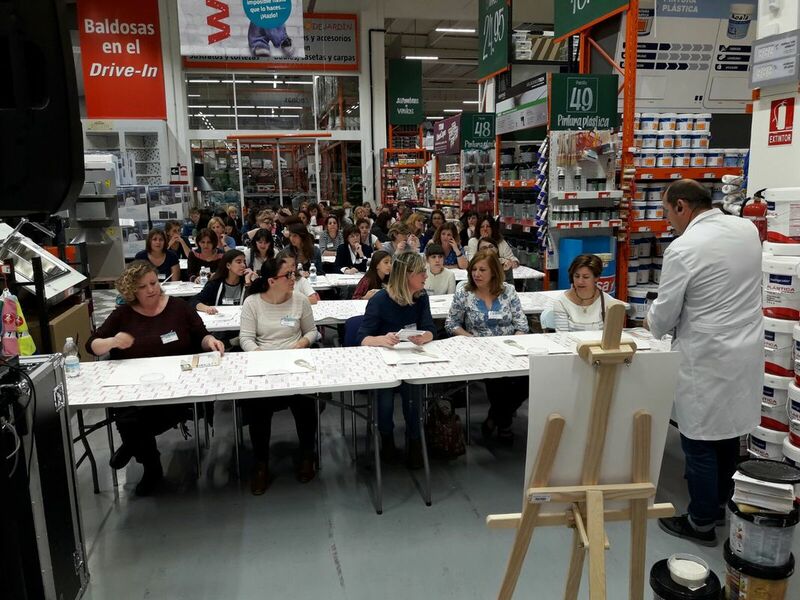 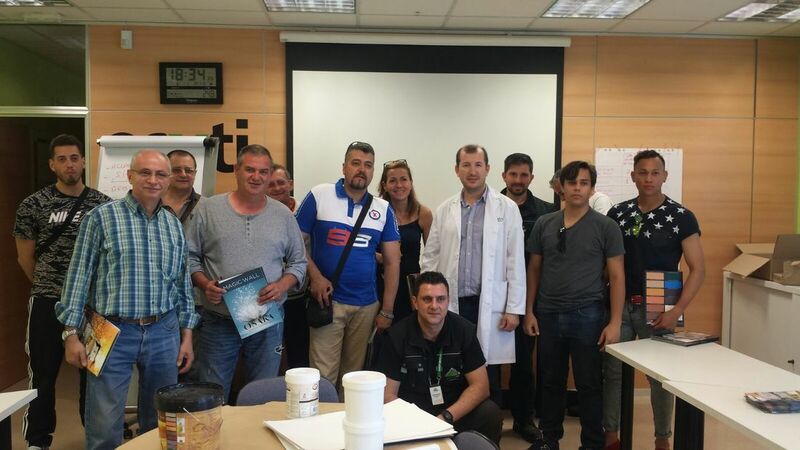 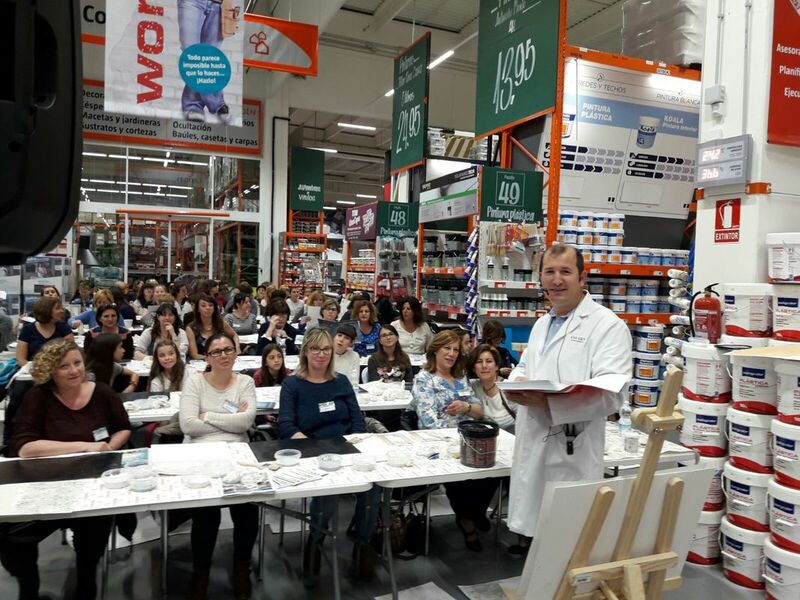 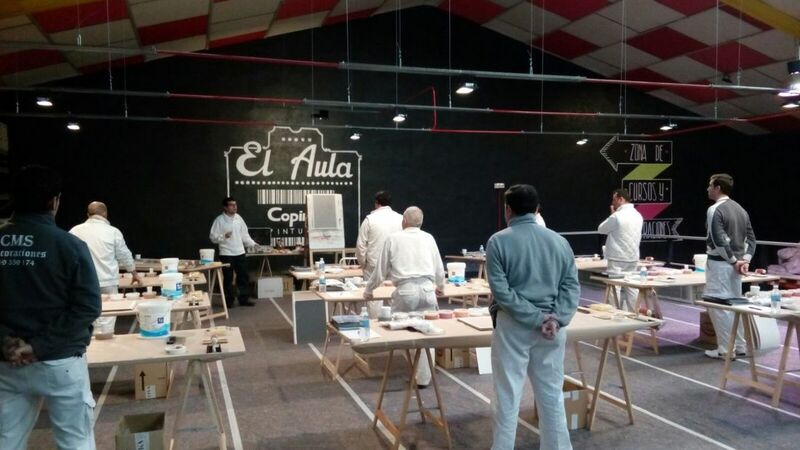 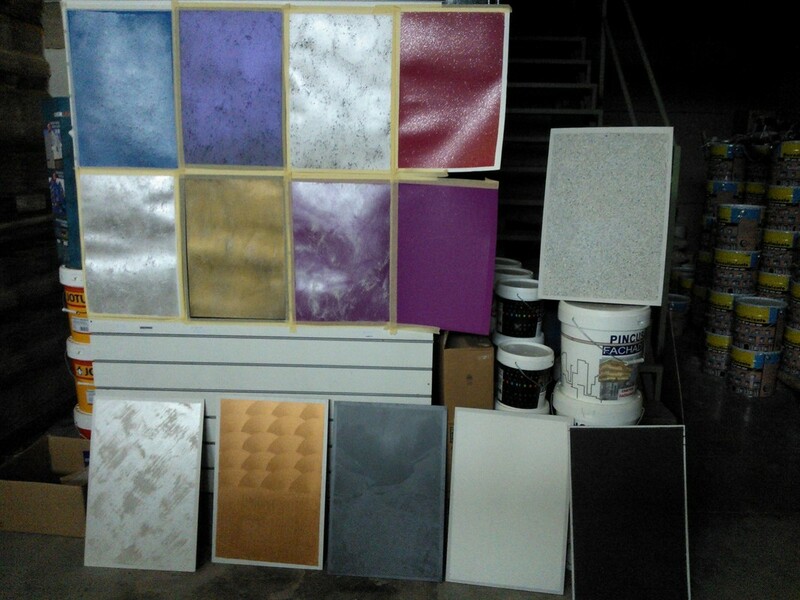 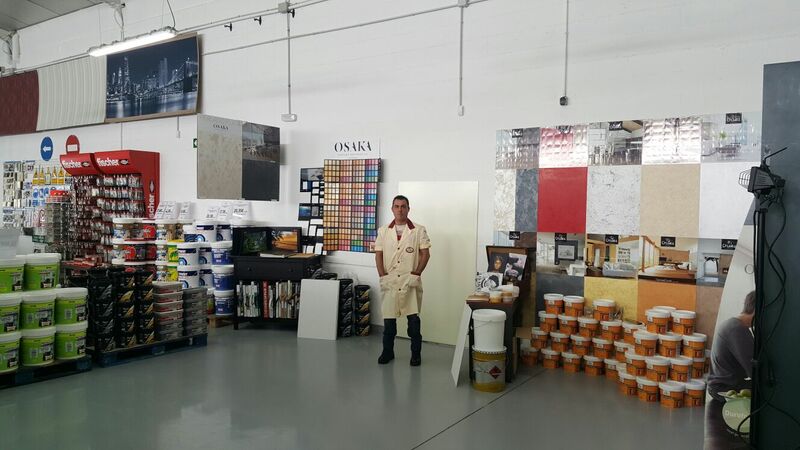 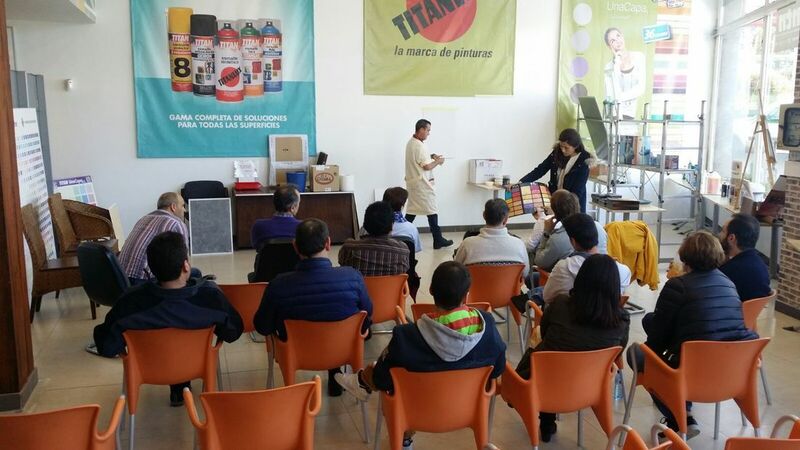 Most of the times however, a product demonstration to painters and applicators at the customer's shop is easier, quicker and cheaper to do for an efficient promotion and introduction to decorative materials. 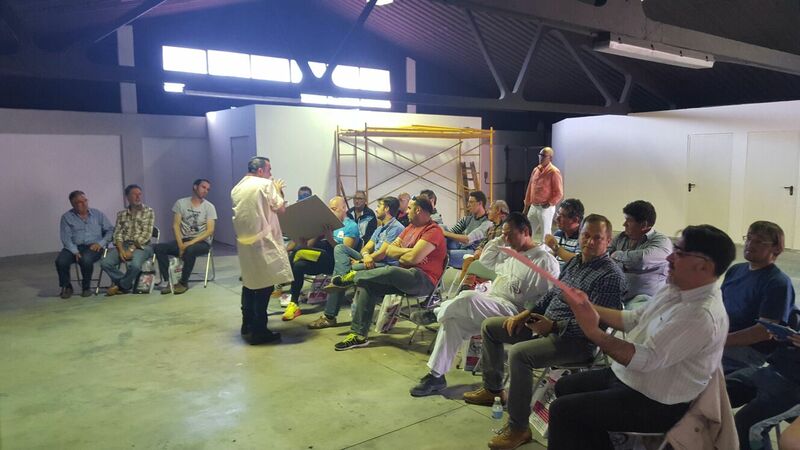 The product presentation lasts about 2 to 3 hours and the participants watch the application procedure and listen to technical explanations without applying themselves. 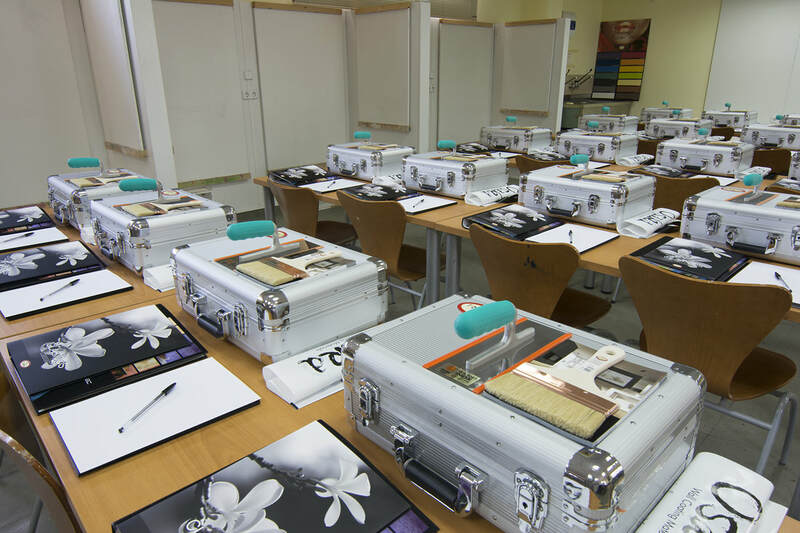 They will take home a set of catalogs and are prepared to practice at home, especially the easy techniques. 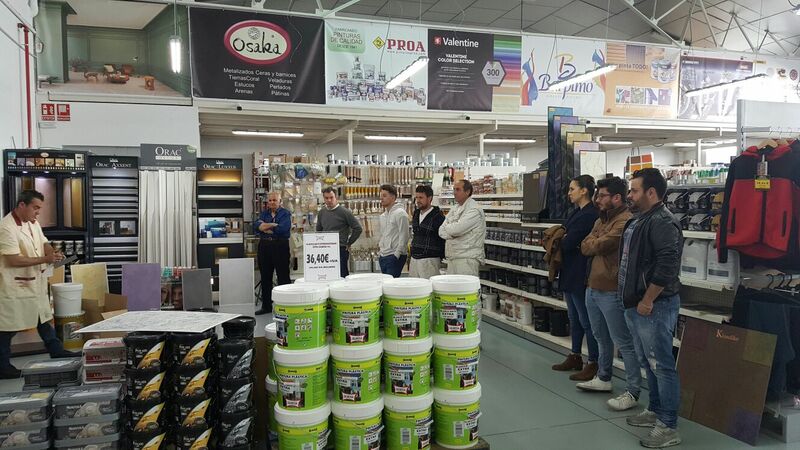 This is a very useful and standard way of massive promotion for a quick introduction to the market.